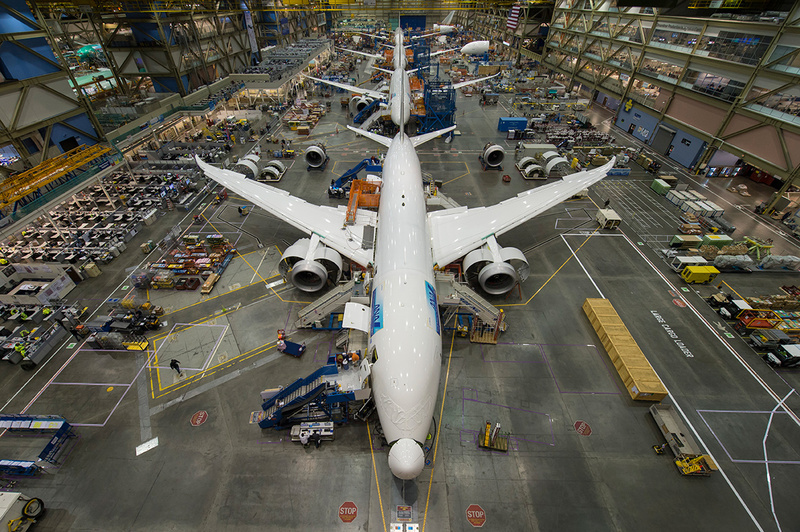 The Boeing 787 under construction at the factory in Everett, Wash. Does aeronautical engineering respond to the same basic physics that governs bird evolution? Evolution through natural selection governs the “design” of flying creatures. Engineers design flying machines. But flying is about physics, and physics is the ultimate arbiter of both processes, says Adrian Bejan, a professor of mechanical engineering at Duke University. And that produces parallels in mechanical and animal evolution. In biology, “fitness” is the gauge of natural selection, says Bejan, “But biology never explains what it mean to be less fit or more fit. Physics is the discipline that states unambiguously what it mean to be more fit; it means to provide greater access to the flow,” in this case, to moving air. 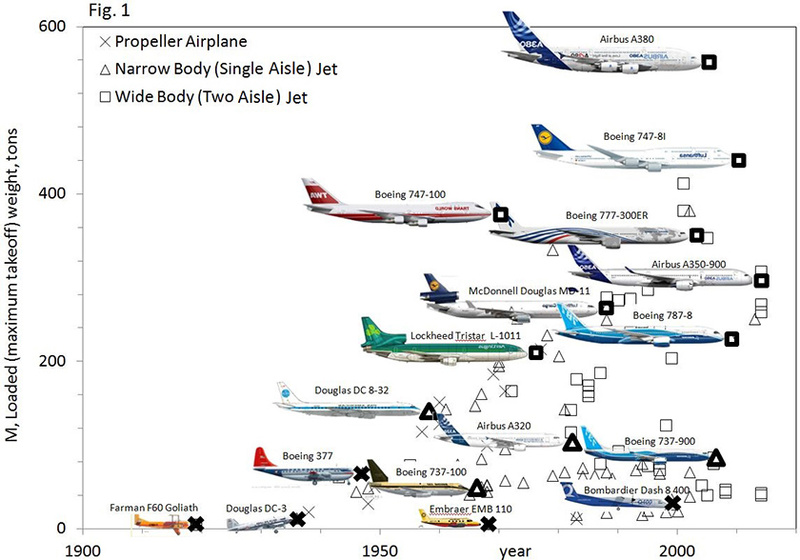 Mass, size and velocity are positively correlated during the history of jetliners. Rollover image to see a similar phenomenon among moving organisms — clams, fish, lizards and people. Bejan says the “constructal law” that he promulgated in 1996 describes continual change in phenomenon as diverse as lightning, river basins and technology, such as airplanes. “We showed that larger airplanes are faster, more efficient as vehicles, and have greater range,” Bejan said. 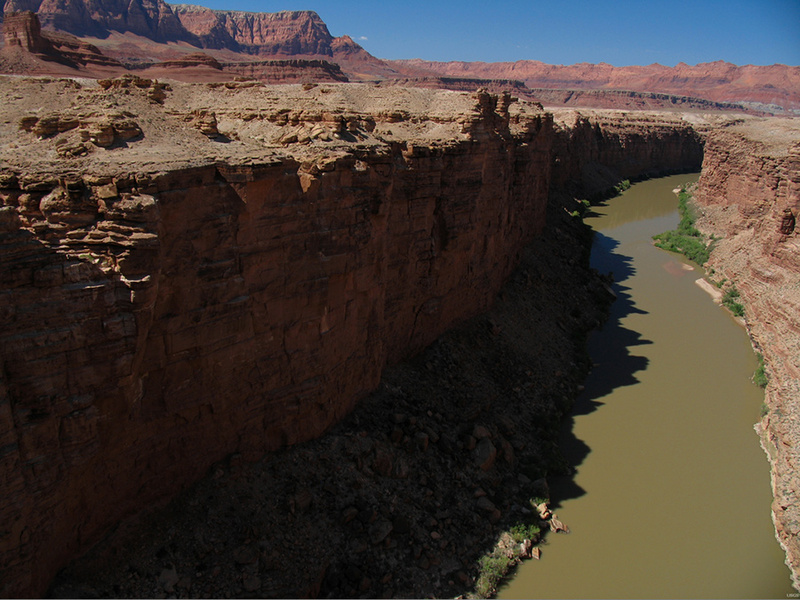 Late afternoon view of the Colorado River in Marble Canyon near Lees Ferry, Ariz. The formation of rivers, Bejan maintains, is another example of how “flow” governs the configuration of the animate and inanimate realms. The history of airplanes shows change among the components as well as overall size, and here too, Bejan sees parallels with the animal realm. “Engine mass is proportional to overall mass, a design feature that is the same in animals where the mass of the motive organs — muscle, heart and lungs — is proportional to body mass,” Bejan says. Once near the brink of extinction, the Californian condor has benefited from a multi-decade species restoration.